Your BMW is the Ultimate Driving Machine! BMW owners enjoy superior vehicle systems and advanced technologies. They have next level driving experiences and they need next level repairs and maintenance services. Your BMW repairs should not be trusted to just anybody. General repair shops often don’t have the experience, education, or the equipment to treat your BMW like it deserves to be treated. Rocco’s European Garage in Marietta, GA designs service plans that perfectly match your BMW’s age, your driving habits, and the manufacturer’s recommendations. We keep you two steps ahead of any performance issues or costly repairs. Our BMW service experts keep you from needing to return to the expensive dealerships. We’re equipped with state-of-the-art tools and equipment on the same level as, if not higher than, the dealers. At Rocco’s European Garage you’re more than just a number. Come to us for a clean and consistent BMW oil change schedule, timely tune-ups, fluid services, filter changes, tire services, maintenance inspections, engine diagnostics, and more. Avoid BMW repairs at all costs! With good timing and a close attention to details, it’s possible. Let the team at Rocco’s European Garage show you how. Timing is everything when it comes to quality BMW services. Don’t neglect your BMW’s service appointments and you’ll experience enhanced road performance and extend your vehicle’s road-life. Our BMW experts use advanced technologies to make sure your BMW stays road-ready, and you’re informed about your vehicle’s condition. Keeping up with your BMW’s maintenance keeps you on a path to peak performance. However, even with a consistent maintenance schedule, you may run into a BMW repair need. Finding a qualified BMW specialist is a great next move! But choosing Rocco’s European Garage is your best move! We’re BMW lovers too, and we know exactly how to put your vehicle in optimal condition. Bring your vehicle’s engine repairs, transmission services, brake repairs, exhaust system repairs, steering and suspension repairs, A/C repairs, and much more. There’s nothing we can’t fix! Your BMW is in highly qualified and well-trained hands. Take note of any of your BMW’s warning signs so we can get to them right away. It only makes sense that the ultimate driving machine would have the ultimate repair technicians under its hood. We’re those BMW repair techs that you should keep under the hood. Our goal is to spend as much time providing BMW services to keep you on the road, and not in our service bay. We perform a variety of BMW inspection, diagnostic, maintenance, and repair services that you can trust. Give us a call today at 770-795-7575 to schedule your BMW repair service. You can save time by using our convenient online scheduling system right now. 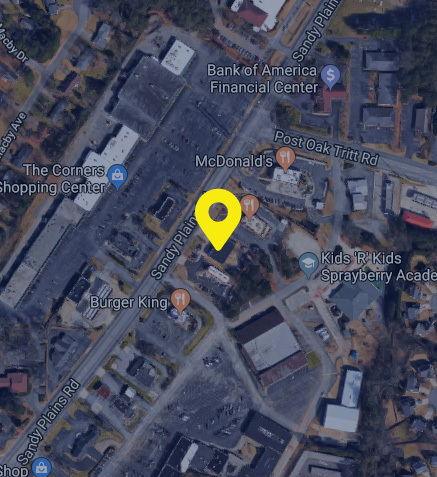 Next time you’re in the area of our Sandy Plains location–2746 Sandy Plains Road–feel free to stop by with any questions or concerns.